SEOUL, Oct. 11 (Yonhap) -- More than 48,000 foreigners came to South Korea last year to get cosmetic surgery, spending some 215 billion won (US$189.12 million), health ministry data showed on Thursday. 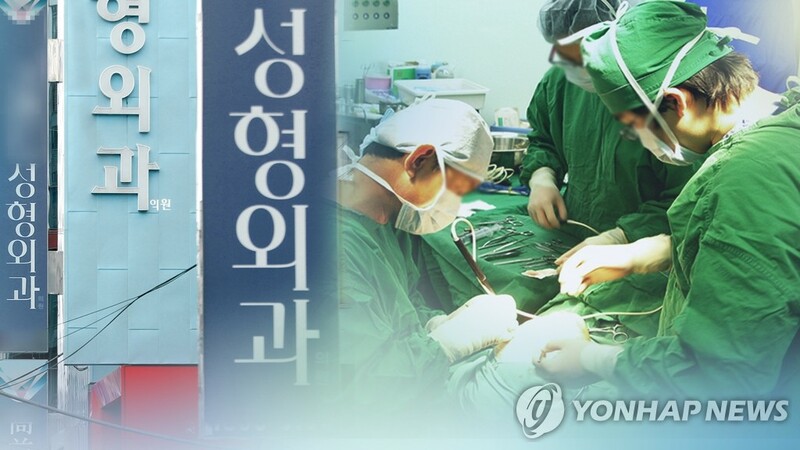 The numbers provided to Rep. Nam In-soon of the ruling Democratic Party for a parliamentary audit showed 397,882 foreign patients visited South Korea last year and paid 639.9 billion won in medical fees. The numbers are down 6.5 percent for the volume of patients and down 25.6 percent for the amount of money spent. Corresponding figures for plastic surgery patients, however, increased. There were 968 more foreigners who came for cosmetic procedures compared to the previous year, accounting for 12.3 percent of the total number of patients from overseas. People who received plastic surgery spent 215 billion won, 52.5 billion won more than the preceding year. Last year's sum accounted for 33.6 percent of the total medical spending by foreign patients. Data showed 20.2 percent of the foreigners received treatment in internal medicine departments, the highest number. Plastic surgery came next, followed by dermatology (10.9 percent) and medical checkups (9.8 percent). Their medical spending averaged 4.4 million won per person for cosmetic surgery, the biggest sum compared to 2.98 million won for general surgery, 2.77 million won for pediatrics and 1.95 million won for neurosurgery.